A customer can register and pre-configure LTI tools using the Developer portal on their site. These LTI Tools can be made available for their users in the App Library or made available by default in courses and menus. Fore more information please have a look at How to develop extensions for your own site only. LTI Applications conform to the LTI 1.0 or LTI 1.1 specifications, and also supports outcome service for grade pass-back from tool provider (3rd party) to the tool consumer (itslearning). LTI Modules conform to the LTI 1.0 or LTI 1.1 specifications, but does not currently support outcome service for grade pass-back. LTI Plugins conforms to the LTI Deep Linking 1.0 specification, but does not currently support outcome service for grade pass-back. These are created as normal Applications, Modules and Plugins Extensions except that the SSO type is set to LTI. When SSO is set to LTI, all communication will be using LTI. That also means itslearning Extensions API will not be available when using LTI SSO. For more information about how to register extensions please have a look here. Configuration UIs for Developer Portal LTIs. For LTI Applications, LTI Modules and LTI Plugins created in the Developer, the configuration only support Launch URL and custom parameters. XML configuration is not supported for these. 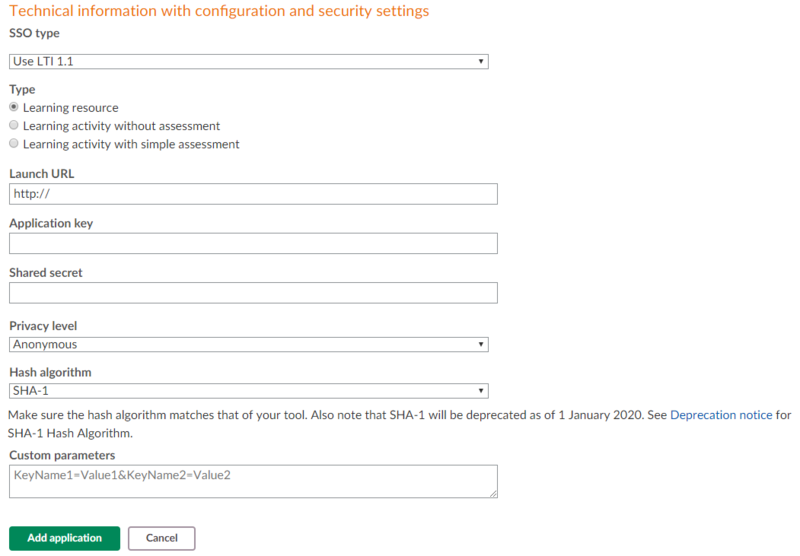 In the image below the LTI related configuration parameters are shown when adding an Application in Developer Portal. 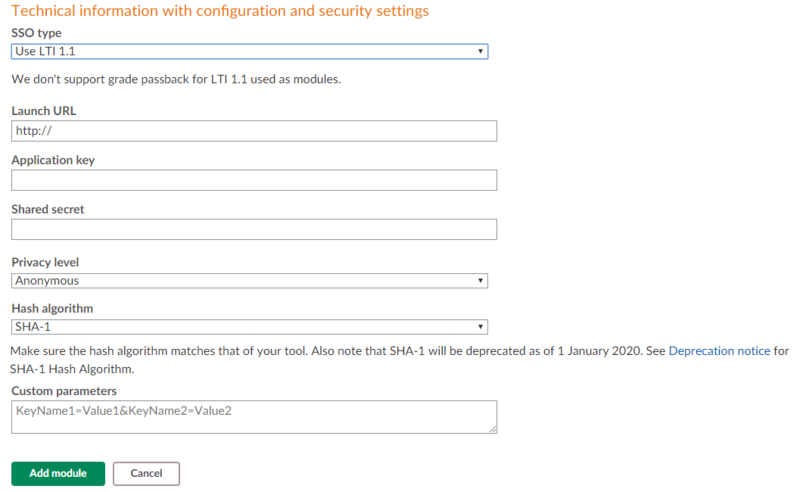 In the image below the LTI related configuration parameters are shown when adding a Module in Developer Portal. In the image below the LTI related configuration parameters are shown when adding a Plugin in Developer Portal. Please have a look here for standard LTI launch parameters supported in itslearning.